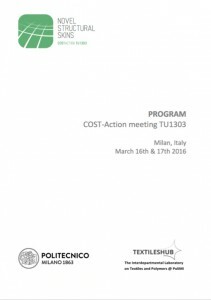 The full program of the COST-Action meeting in Milano on the 16th and 17th of March 2016 is available for download. 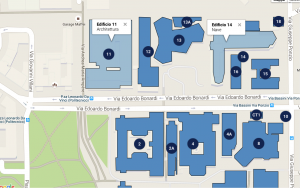 The meeting will take place at the Politecnico di Milano – Campus Leonardo: Piazza Leonardo da Vinci, 32 – I-20133 Milano – Italy. (Please note that COST does not reimburse Taxi expenses). The official e-COST invitation for the meeting are sent by e-mail. Please only ‘save’ your Online Travel Reimbursement Request (TRR) form and do not yet submit it before the end of the meeting. After the meeting, you are asked to submit a duly completed and signed by hand Travel Reimbursement Request (TRR) form within 30 calendar days from the end date of the approved meeting and send it to the Grant Holder: Marijke Mollaert, Vrije Universiteit Brussel, Pleinlaan 2, 1050 Brussels, Belgium. Working Group 3 will not meet due to the unavailability of its working group leaders. Nevertheless, WG3 members are still welcome to join WG2 (and other WG’s). Click here for a list of recommended hotels. 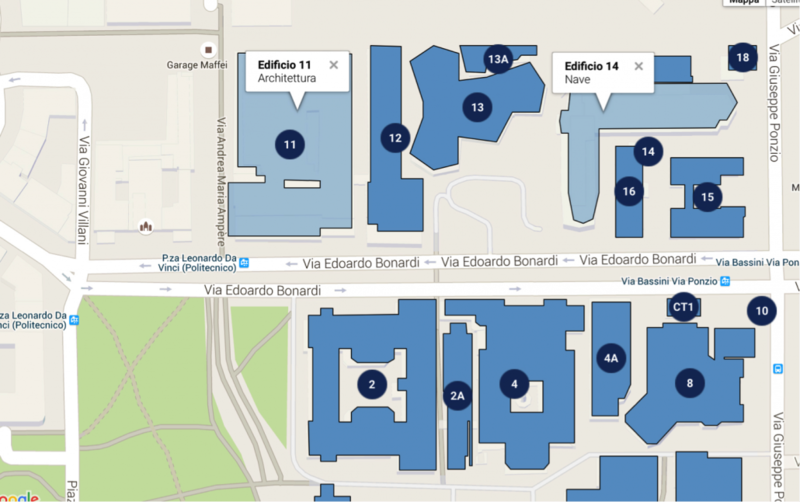 All hotels are indicated in the map below.